What makes Nantgarw Porcelain special? 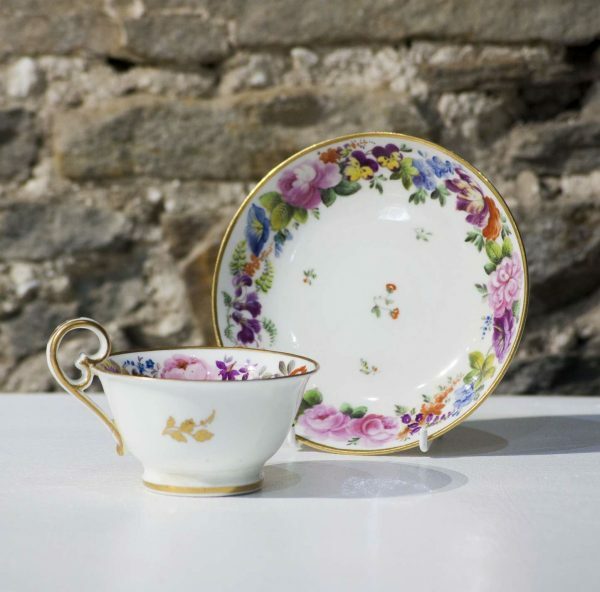 Nantgarw China Works is the only surviving early 19th century porcelain works in the United Kingdom. In the years 1813-1814 and again in the period 1817-1820 the finest porcelain in the world was produced here in Wales by William Billingsley, one of the most remarkable porcelain painters and manufacturers of his time. Porcelain is a vitrified (glass-like) ceramic with a white, fine-grained body that is usually translucent, as distinguished from earthenware, which is porous, opaque, and coarser. Hard-paste porcelain typically the type of porcelain made by the Chinese for more than a thousand years. This is extremely hard, can be slightly gray in colour and has some translucency. It needs to be fired at high temperature. Soft-paste porcelain dates back to early attempts by European potteries in the 18th century to replicate Chinese porcelain by adding a ground glass type substance (known as a frit) to china clay. This porcelain is softer, can be fired at lower temperatures but often lacks strength being prone to collapsing during firing. It is expensive to make due to extra firing costs of the frit and relatively expensive ingredients. There is also a hybrid – bone china which combines bone ash to hard paste porcelain ingredients to giver a whiter more translucent body and added strength and which can be fired at lower temperatures than hard-paste porcelain. At Nantgarw William Billingsley perfected his porcelain recipe with the addition of a variety of ingredients known only to him He succeeded in producing the finest porcelain ever made. Nantgarw Porcelain is unique in that it is a bone ash/frit based soft-paste porcelain body which no other porcelain can come close to in translucency or whiteness. Furthermore, the glaze on Nantgarw porcelain is the perfect complement to enamelled decoration giving the colours true vibrancy and allowing the decoration to merge into the glaze. Meet the man who originally created our world-famous porcelain. We are still making ceramics at Nantgarw China Works.